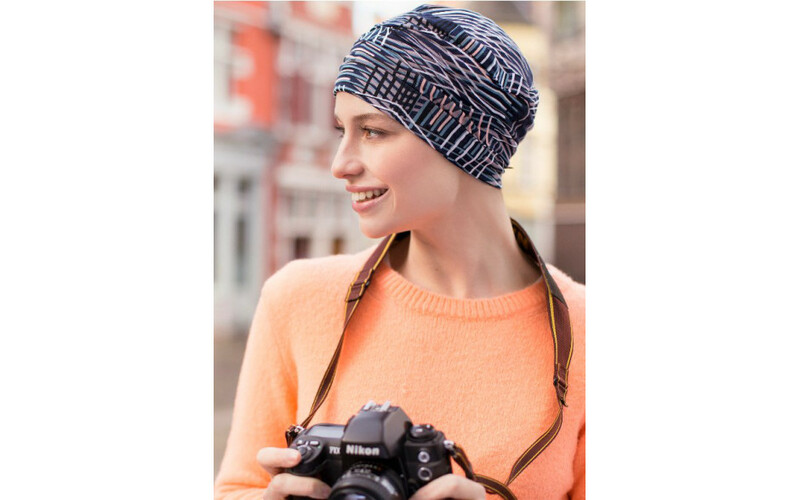 This lovely chemo hat in the Diva print adds pizzazz to an understated outfit. The navy blue background is accentuated with a playful white-coral-beige-turquoise print. 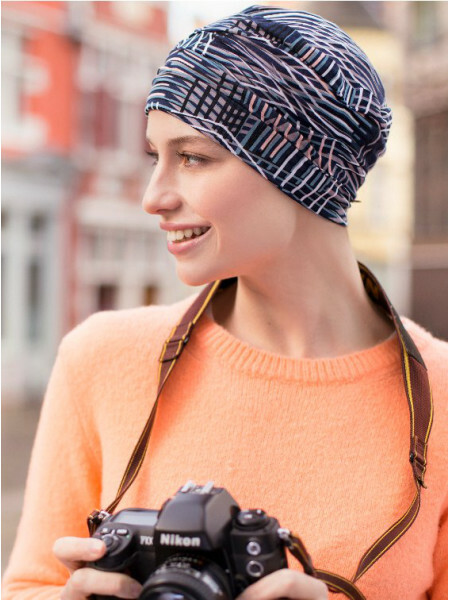 A trendy addition to your wardrobe during cancer treatment, for summer and winter.